In this absorbing analysis of modern Irish writing, an acknowledged expert considers the hybrid character of modern Irish writing to show how language, culture and history have been affected by the colonial encounter between Ireland and Britain. Examining the great themes of loss and struggle, Pierce traces the impact on Irish writing of the Great Famine and cultural nationalism and considers the way the work of Ireland's two leading writers, W. B.Yeats and James Joyce, complicate and elucidate our view of 'the harp and the crown'. Looking in particular at two decades taken from either half of the twentieth century, the book explores changes in the cultural landscape in the light of the colonial legacy. It draws a contrast between the West of Ireland in the 1930s, when the new Irish State under de Valera enjoyed its first full independent decade, and the North of Ireland in the 1980s, when the spectre of British imperialism threatened the stability of Ireland as a whole. 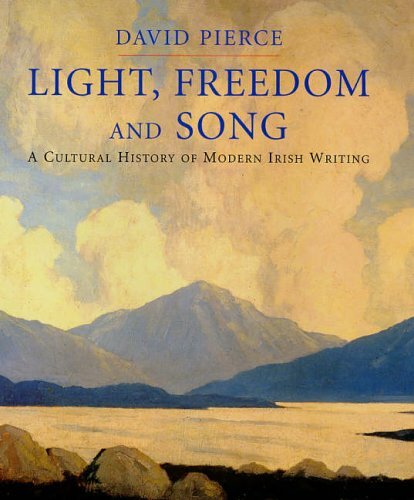 Bringing the story to the present, Pierce surveys contemporary Irish writing and reflects on the legacy of the colonial encounter and on the passage to a postmodern or postnationalist Ireland in the work of such crucial living writers as John Banville, Derek Mahon and John McGahern.